First Lady Michelle Obama has had it with Donald Trump. 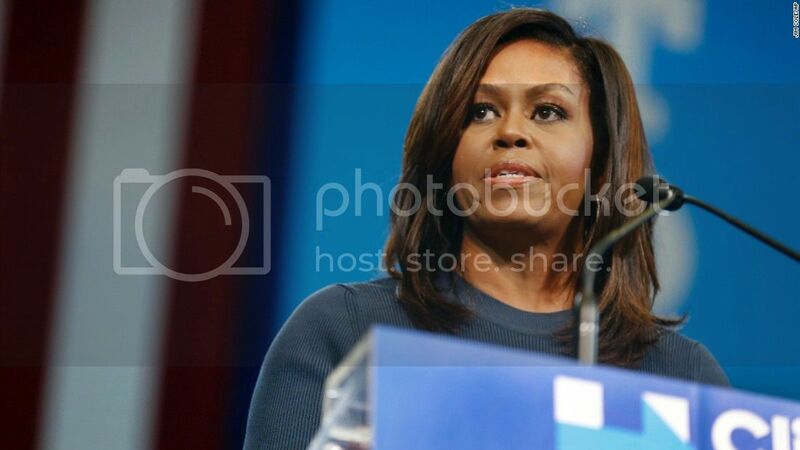 During her latest stop on the campaign trail for Hillary Clinton in New Hampshire, Mrs. Obama got personal as she excoriated Donald Trump's recently unearthed comments about women. You could hear her voice shaking as spoke of the GOP's candidate. "I can't believe I'm saying a candidate for president of the United States has bragged about sexually assaulting women," Obama said. "I've listened to this, and I feel it so personally," she said. "And I'm sure that many of you do, too -- particularly the women. The shameful comments about our bodies. The disrespect of our ambitions and intellect. The belief that you can do anything you want to a woman. That is cruel. It's frightening. And the truth is, it hurts." "To dismiss this as everyday locker room talk is an insult to decent men everywhere," she said. "The men that you and I know don't treat women this way. They are loving fathers who are sickened by the thought of their daughters being exposed to this kind of vicious language about women." Mrs. Obama has become an incredible orator during her time in the White House. That's why she's being hailed as Hillary Clinton's most capable surrogate.